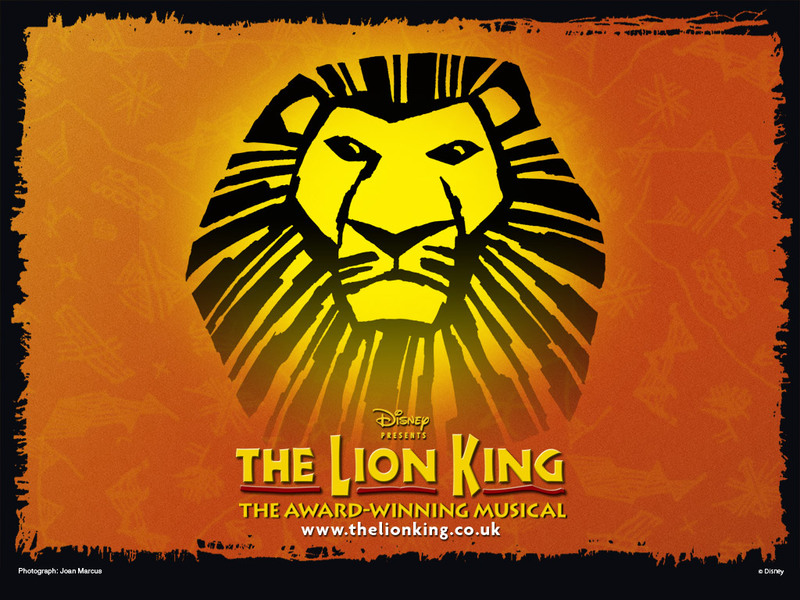 A great production – strong acting, soundtrack, staging, dancing and costumes meant that The Lion King ticked all the right boxes. Yet there was, as always, one pesky variable out of the production team’s control. The audience were so noisy, rude and annoying that the whole experience was… How to put this subtly? Ruined. Many elements of this show are extremely impressive. The soundtrack from Elton John, though a slightly odd mix of ‘traditional African’ and trademark Disney, was great. The acting was also of top notch quality – Stephen Matthews as Zazu and George Asprey as Scar particularly stood out. The costumes were innovative and surprising (though the same Disney/African mix was a little off-putting at times) the dancing, staging and puppetry were also worthy of note. It was, however, very difficult to concentrate. I know that this is a kids show – the pre-show exchange of pick ‘n’ mix was engrossing the rest of the Royal Circle (I seemed to be the only person there not on a Eurpoean school trip) and it is great to see children and tourists enjoying the theatre. I’d hate to give the impression that this should be an elitist pastime, as I know that the reality of ticket prices already excludes many from the theatre. However, after curtain up, the general murmur continued – nobody appeared to see any cause for a break in the chit-chat, despite the rumblings of ‘The Circle of Life’ and the entrance of a fantastic array of puppets. A particularly odious child sat next to me, (definitely old enough to know better) appeared to be practicing her gymnastics routine in the seat, and had no qualms about talking to her fully conversational mother at full volume whenever she was bored of her stretching. The show carried on, yet almost always seemed to be in the background of this off-stage palaver. I took some deep breaths and tried to stop being a stuck-up theatre type. I repeated the mantra that allows me to get through packed summer tubes and misguided midweek short-cuts past Buckingham Palace that always seem to coincide with the changing of the guard: “Tourists support the economy. Tourists support the economy. Tourists support the…” and then someone decided to blow their nose in the first period of intense silence in the entire show – as Simba discovered Mufasa’s dead body. This wasn’t a sniffle, it was a long, deliberate, honking blow. Having only really just got into the show (the rotating puppets of the stampede are amazing – giving real depth and urgency to a wonderfully staged scene) this was the point that broke me. I went out for the interval angry and considered not returning, but having paid £39 for a ticket right at the back of the Royal Circle I was determined to see it through. The rest of the play went off as expected – squirmy girl ate a yoghurt, Simba reclaimed his Kingdom and then everyone went home ready for double maths/London Zoo in the morning. I ran to the tube to avoid the crowds and started to devise a theory about how big shows like this should pay 25% of their profits into a fund supporting emerging theatre that struggles so much. I pondered the inequality of incomes in the country and saw parallels with the problems in the theatre. I considered how useful ‘polite notices’ about talking/eating/somersaulting during the play, plastered all over the auditorium could be. Could nightclub bouncers be deployed to root out the rowdy? I came to no real solutions, and won’t be going back for a repeat viewing any time soon. If you want to take badly behaved kids to the theatre, go here – they will be in good company. If you genuinely love the soundtrack and the play you may be best advised to plump for the top-priced seats or avoid the audience completely by buying the DVD. Congratulations to the production team – you have a stellar show. However, a play can never be seen independent of its audience – they will always impact on the experience, be it for good or bad, and sadly this show seriously fell foul of that quirk of live theatre.